Test Connections - March 2019 - Newsletter | Marvin Test Solutions, Inc.
March 2019 - NewsletterFocus OnSolution SpotlightProduct HighlightIn the NewsDid You Know? Welcome to our first newsletter of 2019 - a year that promises to be filled with outstanding opportunities and growth. Check out the “In The News” section to get all of our recent news and editorial coverage as well as a list of upcoming trade shows and events. We look forward to meeting you in person at one of the many events on our global trade show calendar to learn more about your test challenges and demonstrate our innovative solutions that make test easy! As weapon systems become increasingly complex, ensuring the performance, security and safe operation of these mission-critical systems at the flightline demands test capabilities and cybersecurity features that are lacking in the O-Level test sets currently in use. The new GX6188 High Density Matrix 6U PXI switch card is ideal for test applications with high I/O count and multiple test system resource switching requirements. The GX6188 is compatible with standard 6U PXI chassis as well as Marvin Test Solutions’ GENASYS platform. You can find the latest file updates on our Recent Downloads page. 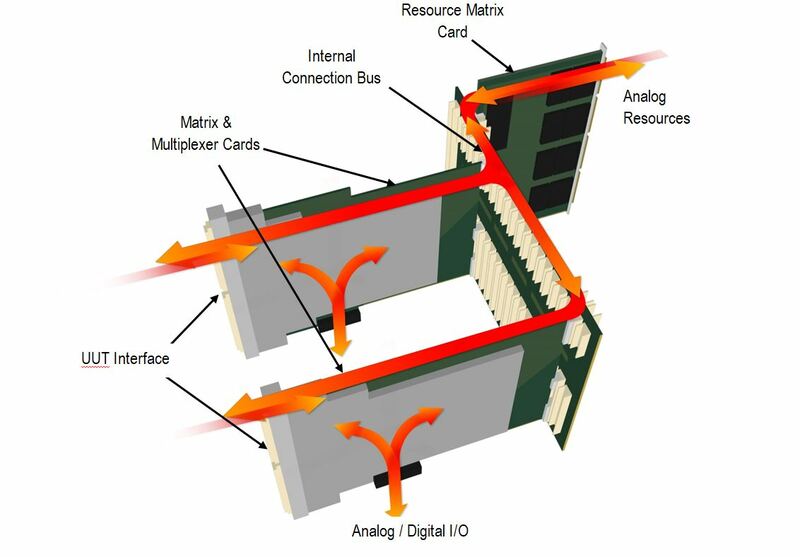 Leveraging Industry Standards for User-Programmable FPGA Instrumentation. An example of this gap in security and capability is the ACPTS or “beercan” tester. The U.S. Air Force (USAF) took delivery of its first F-16 aircraft which featured "state of the art" technology including sophisticated avionics, munitions, and armament systems over 40 years ago. This sophisticated armament resulted in the USAF equipping maintainers with a new generation of test equipment at the flightline (O-Level) including the Armament Circuits Pre-Load Test Set (ACPTS). The ACPTS was cylindrical, and resembled a beer can, quickly earning the nickname "beercan" among maintainers. The F-16 ACPTS was a very simple device with a single measurement channel to check for stray voltage and missing firing signals. To provide adequate flightline armament test capability, this piece of test equipment was combined with large box testers, such as the 75501 tester (Figure 1), making the flightline near the F-16 cluttered and complicated. 1. Readiness uncertainty – while the testing of the aircraft with a beercan usually results in an FMC (Full Mission-Capable) aircraft, the reality can be far from that due to the inability of the beercans to detect armament system digital faults. 2. Costly maintenance – the inability of the beercans to fully test the aircraft necessitates the use of additional O-Level testers. Thses large box O-Level testers takes excessive amounts of time to perform the tests the beercans cannot accomplish. Additionally, there is no commonality as each aircraft has its own beercan and larger O-Level testers, significantly increasing the footprint and cost of sustainment. 3. Cybersecurity vulnerability – legacy O-Level test equipment still in use today is not cybersecure, and cannot be upgraded to current security standards. Realizing that current handheld O-Level armament test sets lack comprehensive test capabilities as well as the cybersecurity features required to protect these complex and mission-critical systems, Marvin Test Solutions developed a handheld, battery-powered test solution that securely supports all armament systems on all aircraft to deliver true FMC aircraft to the warfighter: the SmartCan™. Importantly, the SmartCan performs these test in a fraction of the time needed by the big box test sets. The SmartCan is capable of supporting all legacy and Smart armament systems on all current and future fighters, bombers, helicopters, and UAS. The handheld SmartCan weighs under 4 lb, yet packs over 30 measurement channels, electronic loads, multiple communications interfaces (MIL-STD-1553, MIL-STD-1760, MMSI, Ethernet, CAN Bus, RS-232, RS-422, RS-485), video and audio signal generators, and innovative test language that further reduces development and integration costs while providing exceptional protection against current and emerging cybersecurity threats. The SmartCan supports the testing of virtually any Smart weapon interface including JDAM and AIM-120. Importantly, a single SmartCan can be loaded to support multiple types of aircraft and blocks, reducing complexity and test footprint during deployment. One customer replaced six flightline test sets used on their F-16 and F-15 aircraft with the SmartCan, significantly reducing their logistics footprint and benefiting from standardization and common training for all aircraft armament specialists. The SmartCan delivers significant and advanced features that make test easy at the flightline (Figure 2), as well as unrivaled cybersecurity to ensure program and data integrity. Removable SD card for secure data transfer and software updates. In the event that the SmartCan is used on classified platforms, the SD card may be removed to declassify the unit as no data is saved on the SmartCan itself. Proprietary operating system reduces vulnerability to hackers. Test programs can be created/maintained with Marvin Test Solutions’ ATEasy® test development and test executive software suite, which includes protections against malicious code creation, unauthorized access, and reverse-engineering. Encryption capabilities for ATEasy source files, DLLs and executables. All programs are encrypted and can only be uploaded to the SmartCan if they match the cyber-key of the customer. This prevents unauthorized use or modifications to any test procedures. The SmartCan is already deployed in 10 countries and proven effective on F-16 (multiple blocks), F-15, TA-50, FA-50, F-5, Hawk, and UAS, with support for A-10, F-18, F-22, and F-35 already available. Additionally, it is being used by the USAF in unique weapons emulation applications at the Test Pilot School. The ability to save time, test more, troubleshoot better, and simplify the test process plays a significant role in maintaining fleet readiness within a limited budget. Offering unmatched test capabilities with unrivaled cybersecurity features, the SmartCan can provide support for both current and future generation weapon systems. The basic requirement for a switching subsystem is to route ATE resources to one or more points on a UUT, providing an efficient and flexible scheme for sharing / accessing test system resources to test points on the UUT. A switching system may be comprised of matrices and multiplexers in order to provide the necessary switching flexibility and functionality. Matrices offer N x M cross point switch routing and multiplexers provide expanded signal access via a 1 x K architecture. By combining matrices and multiplexers, a flexible and high channel count switching subsystem can be constructed that offers flexible ATE resource routing and supports high I/O pin count without the need to use a large number of relays. Marvin Test Solutions’ switch card portfolio includes matrix, multiplexer, and RF multiplexer configurations. 3U and 6U PXI switch cards feature easy to use, reliable, and integration-friendly D-sub style interface connectors - a feature unique to Marvin Test Solutions PXI switch cards. In addition, MTS’ portfolio of switching products includes the GENASYS switching subsystem which is based on the 6U PXI standard and offers both matrix and multiplexer options. However, unlike other switching architectures which are 2 dimensional, e.g., N X M matrices or 1 x K, multiplexers the GENASYS 3 dimensional switching architecture includes a third input / output interface – allowing for the connection of external resources or for constructing multiple switch card subsystems. The result is a switching subsystem with improved bandwidth and the flexibility for accommodating multiple test system resources or creating multi-module configurations without impacting the switching subsystem’s overall configuration. Additionally, the GENASYS switching subsystem incorporates the MAC Panel SCOUT receiver which provides a cable-less, high density, and reliable mass interface connection. The GENASYS platform and its subsystems leverage the advantages of PXI to address the most demanding test requirements, featuring an “any pin to any resource” signal routing capability and MTS’ SwitchEasy software tools provide end-to-end signal routing. The GENASYS switching subsystem, which is available with the GX7016 and GX7017 6U PXI chassis, offers test engineers the opportunity to realize advanced ATE solutions that are compact, modular, and reliable for a broad range of high performance, mixed signal test applications. The new GX6188 High Density Matrix 6U PXI switch card is ideal for test applications with high I/O count and multiple test system resource switching requirements. The GX6188 is compatible with standard 6U PXI chassis as well as Marvin Test Solutions’ GENASYS platform which includes complete turnkey test systems, subsystems, and modular instrumentation. Building on the innovative, performance architecture of the GENASYS switching platform, the GX6188 features an integral, 3-dimensional 104x8x8 switching architecture which accommodates multiple resources and facilitates the creation of larger switch matrices through the interconnection of multiple cards to the 8-wire global bus which is available on the GX6188’s front panel. As shown in the figure below, the expansion bus allows users to create multiple high-density configurations such as 208x8x16, 312x8x24, 416x8x32, etc., without sacrificing the switching subsystem’s total I/O configuration for multiple module configurations. In addition, the module includes a resistor bleeder network as well as a self-test resource to facilitate built in test capability. Our busy trade show calendar brings us the opportunity to meet with customers around the globe to demonstrate our customer-focused test solutions for military, aerospace, and manufacturing applications. We truly enjoy this interaction, and we appreciate the chance to discuss your most demanding test challenges. The 2019 AUSA ILW Global Force Symposium & Exposition is a three-day event that will include presentations from the Office of the Assistant Secretary of the Army (Acquisition, Logistics and Technology), the United States Army Materiel Command, and the United States Army Training and Doctrine Command. This symposium will explore the capabilities outlined in the Army Operating Concept and how the force transforms from being adaptive to driving innovation for Force 2025 and beyond. ElectrotestExpo is the UK's only dedicated board test, inspection, device programming and debug event for electronics professionals. ENOVA brings together the innovators in electronics, measurement, vision and optics technologies. The annual Summit provides an opportunity for the entire Army Aviation Community to gather in one place at one time focused solely on Army Aviation issues. Soldiers, Industry, Acquisition, R&D, Retired, Veterans, Maintenance, Logistics, Simulation, Special Operations, Training and Doctrine, MEDEVAC, Active Duty, Army National Guard, U.S. Army Reserve, and Army Aviation Leadership all take part. The International Paris Air Show at Le Bourget brings the entire industry together once every two years. This event, over a hundred years old, is the largest and longest-running aerospace trade show in the world, including the latest technology in aerospace on display, and exciting flying demonstrations each day. SEMICON West is the world’s marketplace for microelectronics innovation, featuring nearly hundreds of international exhibitors showcasing products and services across the manufacturing ecosystem - from design to manufacturing. You can find the link in our global website navigation bar under "Support", or on the home page. Check back often to get the latest!